Are you one of those candidates who are lacking behind from other just because of basic professional degree at work place? Are you looking for an enhanced career opportunity? For all these need to make your career prospects more advanced with time for your growth. Yes, now you can advance your qualification, business skills, and technical skills at the age of 30-35 or even more. In modern scenario, corporate companies and industry sector is demanding people with advanced skills and great field knowledge. For an improved job role and a more rewarding career, you can always enhance your skills with online education programs. Online degree programs are much demanding among working professionals these days. And a larger audience group is already getting benefited through this flexible and effective learning approach. Here are some guidelines that include some ways through which you can easily make your career path more fruitful and rewarding too. Generally, candidates with superior working experience in any job leads to higher wages. In association, a person having a bachelor degree in computer applications or equivalent earns more than the other person having a junior degree or diploma in similar field. 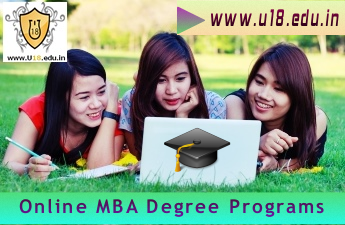 Further, people with master degree such as an MBA, MSc, MCA, MCom etc. obtain higher salary than the graduates and people with doctorate rank receive the highest salary. All these dissimilarities are only because of qualification level. Not only higher degree programs make you get more respectable position in your company, some sort of specific qualification, and certification programs also help you to make yourself stand out from the crowd. Through online education programs which are offered by various leading institutions, you can get skills enhancement program of your choice. This approach will lead you to improve your knowledge and skills without suspending your present career. In today’s competitive corporate world, most of the employment required a candidate to hold at least a graduate degree in specific field of study. Those who are having a diploma or other equivalent high school program can always go for getting a bachelor’s degree through online learning mode. A large number or government and private universities such as Online University of Mysore (Govt. University), KSOU, DBU etc. are offering online degree courses for such diploma holders to improve their qualification level and skills too to work in a modern work environment. This approach of getting degree programs through online learning mode help working people to explore superior career opportunities while working in present job by getting higher education programs. In India, economy is booming progressively. Almost every sector of industry seems to enhance gradually. In such a scenario, having a master degree in respective discipline as per industry needs will surely give your career a new height of success. One can enhance his/her chances of getting improved career prospects with having a master degree in business administration, computer application, technology management or commerce etc. as per their primary field of study and their future goals.